Osmani García anota otro récord a su lista. A tan solo tres semanas, su tema "Baila Toma" sobrepasa el millón de descargas en la plataforma Spotify, en estos momentos cuenta con 1.3 millones. Osmani Garcia has surprised his fans releasing his third single "Baila Toma" in collaboration with Puerto Rican singer Justin Quiles and urban merengue artist, Fuego. Watch Johnny Dread's music video for "Full Circle"
The song was written in the tone of John Lennon's 'Instant Karma.' I wanted to express how 'what is done in the dark must come to light' so the song expresses how we get caught on the foolish circle of life. Johnny Dread Premieres video for "Full Circle"
Cuban-American reggae ambassador, Johnny Dread, premieres today the video for his single "Full Circle" on Reggae music portal, Reggaeville. 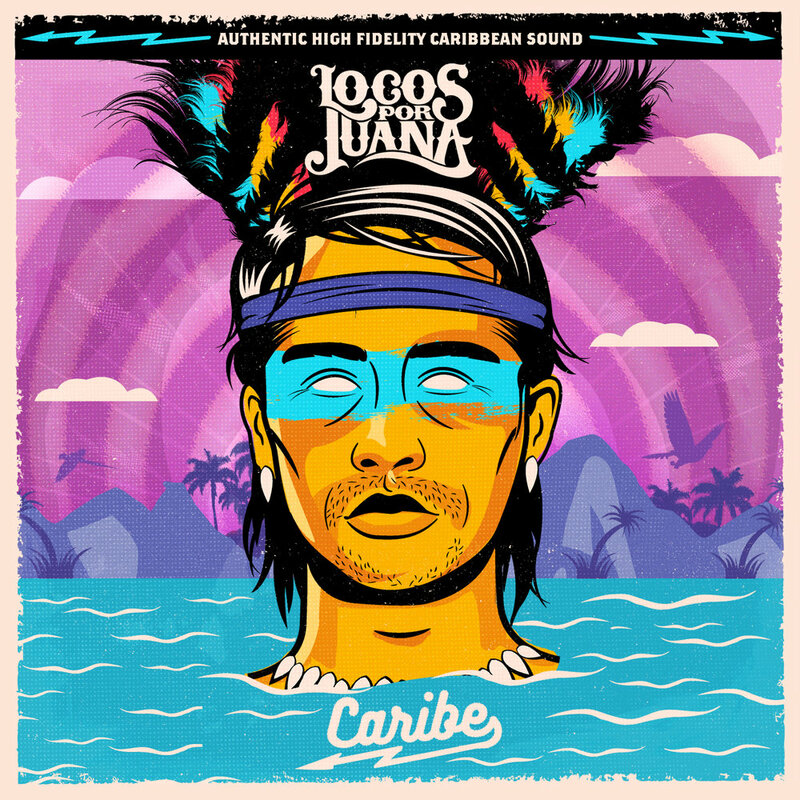 The masters of Miami's funk-pan Latin hybrid sound, Locos por Juana, release their anticipated sixth studio album Caribe today on iTunes. The album arrives in the midst of a hurricane proving the well-recognized resilience of the people of The Caribbean. 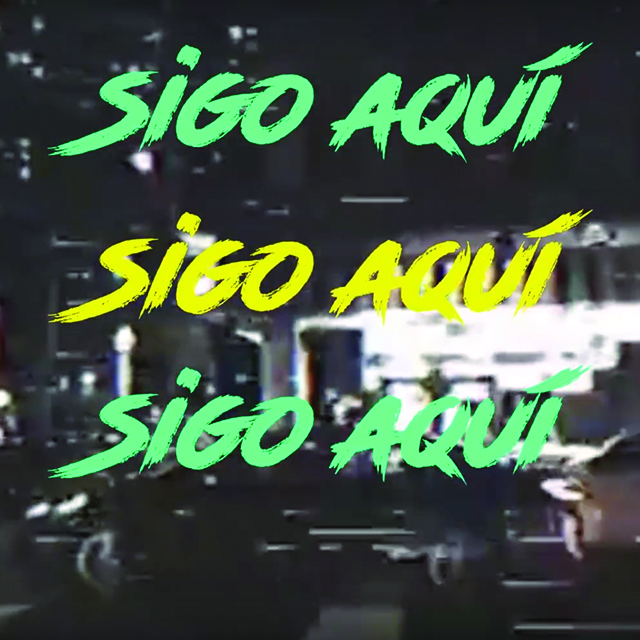 Latin GRAMMY nominee, El B, premieres the lyric video for his newest single "Sigo Aqui´' (I'm Still Here) featuring American hip hop artist, Talib Kweli, on the Entertainment & News site Latino Rebels and VEVO. Congratulations to Osmani Garcia who has been nominated for a 2016 Latin American Music Awards receiving a nod in the New Favorite Artist-Urban category announced this afternoon by the hosts of Telemundo's entertainment show Suelta La Sopa. Más de un año de esfuerzo y toda una vida invertida finalmente ven el fruto de su cosecha tras la nominación de El B a un Latin GRAMMY. Osmani García recibió dos nominaciones para los Latin Music Italian Awards en las categorías Mejor Concierto Latino en Italia y Mejor Artista Masculino Latino del Año. Osmani Garcia is premiering his latest music video "Sacudete la Arena" on Univision's Primer Impacto today. Locos por Juana, fresh off their exhilarating performance at The Manifestivus Music Fest in Vermont, release their third single "Se Fue La Luz" (The Light Went Out) off their upcoming October 7 album release, Caribe. Verny Varela concludes Cali promo run in support of single and upcoming video for "Vive el Momento"
Perez Hilton says "Vive el Momento" is "such a homerun!" and adds it to his Listen to this: Oprah Approved list. The collaboration between Rock The Moon Productions and PRISM Music Group brings you today, Jesse Jackson with "The Times They Are a-Changing" & Zoe Fromer covering "Menilmontant." El B, Cuban rapper and producer and one of the leading voices of Latin American hip-hop in the last decade, presents his new album, Luz, on August 12 at Habana 305 in Miami. Miami, FL (July 29, 2016) Cuban singer, songwriter, and musical producer, Osmani Garcia kicks off the first leg of his European summer tour, Sacudete (Shake it off) Tour in Italy, performing in Venice on Friday, July 29 and closing in the historic city of Lecce, in southern Italy, on August 14. Miami, FL (July 26)- Fresh off their triumphant Colombian promotional visit, their first in over three years, Locos por Juana are gearing up to co-headline for The Manifestivus Music Festival on July 29 in the woods of Cabot, Vermont. El B Releases Newest Album "LUZ"
Cuban rapper El B remains a ray of hope in this clouded world overflowing with bling and tweets. LUZ brings a fresh approach to Hip-Hop, politics and the revolution. Watch El B's latest music video performing the song "Por Los Buenos Tiempos." Multimedia creative company, Rock The Moon Productions has signed a recording and management deal with singer/songwriter and performer, Osmani “La Voz” Garcia, and AllStar Promotions. La Fiest Loca returns to Wynwood Yard to continue its 6th-year tradition of bringing a unique, live social musical experience for fans of all ages. 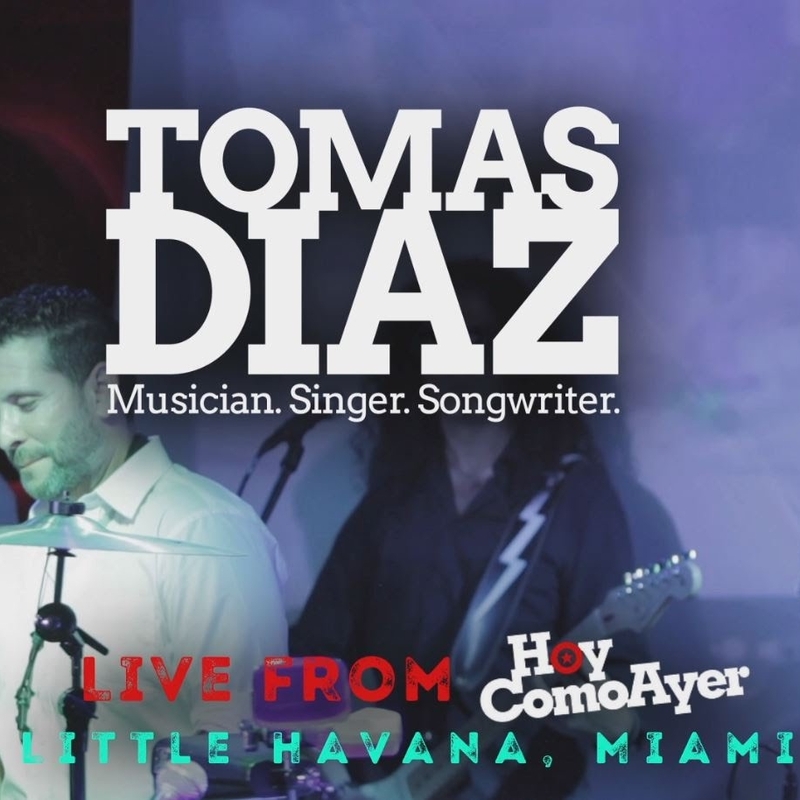 Tomas Diaz performs "Esto es Miami" live at Hoy Como Ayer. El b Flows at Locos Por Marley. Rapper, El B, was one of the special guests at the Locos por Marley festival that took place on February 5th at Wynwood Yard. Watch as the stage poet flows here. The collaboration between Rock The Moon Productions and PRISM Music Group brings you this week Taylor Powell and Patrick & The Swayzees. Listen to the sounds of one of the freshest..
Singer and a Cuban music referent, Tomas Diaz. El B premieres "No Son Nadie" on VEVO. Poet, iconic rapper, activist, El B , kicks off the year with his 4th single, " No Son Nadie ", off his upcoming album, Luz. Tuff Gong Lives, A Tribute to honor the legacy of Bob Marley. Featured Guests include Tomas Diaz, El B, Mariana Vega, Elastic Bond, Tabaquero, Xaxo, Jean, and Viking Freedom Writers. A Night in Latin America. Over 50 bands from 16 countries United in One Unprecedented Live Streaming Initiative. Featuring Locos por Juana. The third single off his sixth studio solo album, Luz. Featuring Locos por Juana's Itawe Correa. "Suky" is now in 180 countries! Over 15 million people worldwide are taking a Zumba class every week in 200 ,00 locations. First single off his sixth solo album and American debut, Luz, on VEVO, TV show Acceso Total on Telemundo and Corillo Magazine. First single off his sixth solo album, Luz, due out later this year. in support of his debut single "Suky,". His recent Puerto Rican visit proves the success he has had among the islanders and vicinity. Singer and Cuban music referent, Tomas Diaz is back with "Suky" a new song that contains all the elements to become an international success.